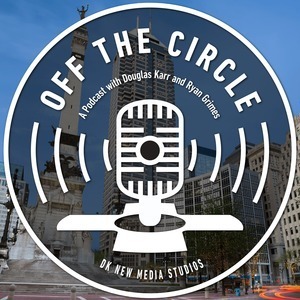 50 episodes of An Indianapolis Business Podcast: Off the Circle since the first episode, which aired on August 29th, 2017. Doug, Ryan, and Adam are back for our second podcast... this time about podcasting! In fact, Doug won't shut up about podcasting for an entire podcast. Tune in and let us know if you learned anything. Episode 1: Some Straight Talk on IT Security! Ryan Grimes from My IT Indy and Adam Small of Agent Sauce share horror stories, concerns, and strategies for managing your data and devices.